If you want to make a long lasting impact on a person and you love children, consider pursuing the field of Early Childhood Education. Early childhood educators have the unique opportunity to impact the lives of children at the most important stage of their growth and development. The impact of good early childhood education on the long term well being of society has become better understood and more well known in the last decade, giving rise to greater demand for trained early childhood educators. Most online degree programs are designed with working adults in mind. Thus, students who earn their early childhood education degree online can keep their current job and not neglect their family commitments. If fieldwork is required, online programs tend to allow the requirements to be completed in the student’s hometown. Obtaining a graduate degree in ECE can lead to administrative positions in schools, day cares, and head start programs and usually comes with an increase in salary. Only regionally accredited colleges and universities listed in the National Center for Education Statistics database and offering Masters degree programs in Early Childhood Education were considered. Qualifying schools were then evaluated and ranked based on publicly available data in the areas of affordability, starting salaries of recent grads, market reputation, awards and recognition, and flexibility. This Smart Choice ranking of the best online master’s in Early Childhood Education will undoubtedly lay a strong foundation for you as you search for the online graduate program that is best for you. Named for child psychologist Erik Erikson, the Erikson Institute educates future educators in a multi-disciplinary, relationship-oriented curriculum designed to provide care for at-risk children, but is open to anyone who wishes to educate children. The school was founded by a group of child advocates in 1966 to train instructors in the new Head Start programs. The campus is positioned in Chicago, Illinois. Regional accreditation is provided by the Higher Learning Commission. Program Details: Erikson Institute offers an online Master of Science degree in Early Childhood Education. Designed for early childhood educators with a Bachelor’s degree and at least three years of teaching experience, this 38-credit-hour program takes 28 months to complete. As a structured cohort program, all students will be grouped with a peer cohort for support, and as a fully online program students may work at their own pace around their current schedule. Tuition for the program is $1,000 per credit. Pacific Oaks College is a private, not-for-profit, nonsectarian school in Pasadena, CA.. The school was founded over 60 years ago by a group of Quaker families committed to the values of inclusion, social justice, and the intrinsic worth of every human being. Slightly over 1,000 are enrolled in programs at the college. Pacific Oaks College is accredited by the Western Association of Schools and Colleges. Program Details: The School of Education at Pacific Oaks College offers an an online master’s in Early Childhood Education as well as an online bachelor’s completion program in Early Childhood Education. All POC programs take a culture-centered, experiential approach to learning. The online master’s degree can be completed in one year of full-time study, or two years of part-time study. It is a 30 hour program. Required fieldwork for both the bachelor’s completion and the master’s program may be completed at a site convenient to the student pending the approval of the site, supervisor, and college. Located in Johnson City, Tennessee, East Tennessee State University is a public university with around 14,700 students enrolled. The campus sits on 340 acres in the shadow of Buffalo and Cherokee Mountains. The Southern Association of Colleges and Schools, Commission on Colleges provides accreditation. Program Details: The Claudius G. Glemmer College of Education houses an online Master of Arts in Early Childhood Education degree. This program provides specialized preparation for educators who are interested in working with in young children ages birth to eight and their families. The students in the program will participate in online cohorts that move at a rate of two courses per semester leading to the M.A. degree in just 24 months. While the degree is online, participants must go to the campus for a one-day orientation. There is no licensure given with this program. Situated on a beautiful 300-acre campus in Manchester, New Hampshire, Southern New Hampshire University is a private nonprofit university. Over 28,000 students are enrolled in the university. The New England Association of Schools and Colleges (NEASC) provides accreditation for all degrees granted at SNHU. Program Details: The School of Education at Southern New Hampshire University offers two online graduate degree programs in Early Childhood Education. There is a 39-credit M.Ed. in Early Childhood Education-Curriculum that does not grant a teaching license as well as a 42-credit M.Ed. in Early Childhood Education-Curriculum that does include a license for teaching in New Hampshire. Both programs are 100% online. Courses are taught by academically qualified practitioners who use their real world experience to insure relevancy. The school does not require standardized tests for admission. Tuition for program is $627 per credit. Capella University is a for-profit online university owned by the Capella Education Company and based in Minneapolis, MN. Originally founded in 1991 to provide education for underserved adult learners, Cappella became an online university in 1996 and now serves over 37,000 students at any give time. The university is accredited by the The Higher Learning Commission of the North Central Association of Colleges and Schools. Program Details: The School of Education at Capella offers an accredited online Master of Science in Education with an Early Childhood Education specialization. This 46-credit program will help licensed teachers who wish to learn more effective practices, as well as those who wish to teach Early Childhood education in higher education. Note that students are required to pass the Minnesota Teacher Licensure Examinations (MTLE) prior to registering for the practicum course. Courses in this program last 10 weeks long. Tuition is $444 per credit. Program Details: The School of Education at Northcentral University offers an online Master of Education with a specialization in Early Childhood Education. This 30 credit hour program usually takes 21 months to complete, although students can stretch it out to a maximum of six years. The specialization in Early Childhood Education emphasizes the responsibilities and unique challenges of educating children in the crucial early years of life, when social and learning relationships are being formed. Tuition per credit is $598. Established in 1956, the University of the Southwest is a private, Christian university in Hobbs, New Mexico. 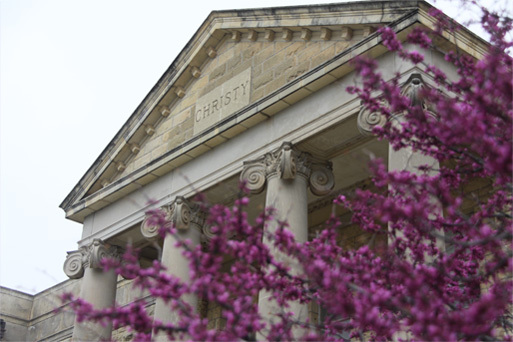 Originally Baptist, the university is now inter-denominational, with an explicitly Christ-centered approach to higher education. Just shy of 1,000 students are enrolled in courses at the school. The school is accredited by the Higher Learning Commission and is a member of the North Central Association of Colleges and Schools. Program Details: The School of Education offers an accredited online Master of Science in Education with a specialization in Early Childhood Education. The degree prepares educators who work with children, birth through grade 3. Students will become experts in classroom practice, theory, curriculum development, administration, and assessment. All coursework of this 36 hour program is online but students are required to complete a practicum in their home area. Program Details: The College of Education at Georgia Southern University provides students with a wonderful opportunity to earn a few online degrees. Those interested in the field of early childhood education can earn an online Master of Education in Early Childhood Education and an online Education Specialist certification in Early Childhood Education. The M.Ed. in ECE is designed for candidates who hold a Professional Level Four Certificate or equivalent in Early Childhood Education. The program can be completed in as little as one year. The University of Louisiana at Monroe is a public university in Monroe, Louisiana, around 100 miles east of Shreveport. Around 8,600 students call the university home. The Southern Association of Colleges and Schools, Commission on Colleges provides accreditation for programs at the school. Program Details: The College of Arts, Education, and Sciences offers an online Master of Education in Curriculum and Instruction with a specialization in Early Childhood Education. This 36-hour program is available only to educational professionals who already have a teaching certificate. Applicants must also attain a formula score of at least 1875 using the following formula: the combined total of the Verbal and Quantitative scores on the Graduate Record Examination multiplied by the student’s grade point average on all undergraduate work pursued. Program Details: Champlain has been offering quality online degrees since 1993. Students who want to pursue an advanced degree in ECE can earn an online Master of Education in Early Childhood Education. This 36-hour program offers classes in an asynchronous format giving students maximum flexibility. There are two specialization in this program: Administration and Teaching. While the degree is online, students must participate in a three day residency during the first year of enrollment in the graduate program. The University of West Alabama is a public, co-educational, four-year university in Livingston, Alabama that was originally charted as a church-related female academy in 1835. Nearly 4,500 students are enrolled in courses at the university. The Southern Association of Colleges and Schools Commission on Colleges provides accreditation. Program Details: The College of Education at the University of West Alabama offers an online Bachelor in Science program in Early Childhood Development (ECD) as well as two online graduate programs in early childhood studies: a Master of Education with an emphasis in ECE and a Master of Education with an emphasis in ECD. The M.Ed. in ECE is a certification program. The M.Ed. in ECD is not a certification program. Both graduate programs are 34 credits in length. Online graduate courses at UWA are $429.00 per credit. Southwestern College is a private school in Winfield, Kansas. The college was founded in 1885 and is affiliated with the United Methodist Church. Approximately 1,600 students are enrolled. Accreditation is provided by the Higher Learning Commission. Program Details: The Professional Studies sector of Southwestern College provides a Master of Education Curriculum & Instruction with a concentration in Early Childhood Education. This 33-hour program is rooted in the precepts of the National Board for Professional Teaching Standards’ (NBPTS) five core propositions which focuses on developing passionate educators who know their subject matter and teach it in an accessible and effective manner. This degree is very accessible with five start dates each year. Tuition is $370 per hour. Grand Canyon University is a private, for-profit Christian university located in Phoenix, Arizona. Nearly 55,500 students are enrolled in programs at the school. Grand Canyon is accredited by the Higher Learning Commission (HLC) of the North Central Association of Colleges and Schools. Program Details: The College of Education at Grand Canyon University offers an online Master of Education in Early Childhood Education as well as an online Bachelor of Science in Early Childhood Education. The masters degree focuses on topics such as foundations of early childhood, early literacy development, management and environment, child growth and development, introduction to the exceptional learner, structured English immersion, and instructional teaching methodologies in a variety of subjects. Included in this program is two 8-week internship experiences: one in a birth to pre-school setting and another in a K-3 setting. 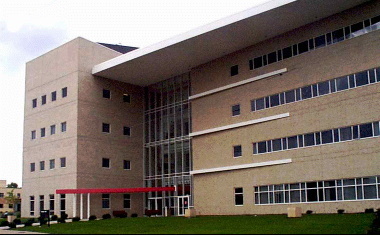 Youngstown State University is a public, urban, research university in Youngstown, Ohio that was founded in 1908. The university has over 13,300 students enrolled and has a faculty to student ratio of 1 to 17. The Higher Learning Commission provides accreditation for degree programs. Program Details: The Beeghly College of Education at Youngstown State University offers an online Master of Science in Teacher Education with an emphasis in Early Childhood Education. This 32-hour program childhood education program at Youngstown State University prepares teachers for advanced employment or education. Currently, Youngstown State has around 1,500 students taking distance education courses in various programs. Thus, the school is well versed in providing high quality online educational services. Walden University is a private for-profit institution of higher education that is a leader in the world of online higher education providing education to over 50,000 students annually. The headquarters is in Minneapolis, Minnesota. Walden is regionally accredited by the Higher Learning Commission and is a member of the North Central Association of Colleges and Schools. Program Details: The Richard W. Riley College of Education and Leadership provides students with an opportunity to earn an online Master of Science in Early Childhood Studies. This is a non-licensure degree program intended to empower professional educators with a deeper understanding of child development so that the educators can provide a higher level of service and more effective programing. The four specializations are Administration, Management, and Leadership, Early Childhood Public Policy and Advocacy , Teaching Adults in the Early Childhood Field, and Teaching and Diversity in Early Childhood Education. Walden offers two online degree formats: course-based and self-paced (Tempo Learning). Founded in 1886, National Louis University is a private, non-profit university that specializes in education. With a main campus is in Chicago, Illinois, National Louis has grown to have additional campuses in a few towns in Illinois as well as in Tampa, Florida, and Milwaukee, Wisconsin. The school is accredited by the Higher Learning Commission of the North Central Association of Colleges and Schools. Program Details: The National College of Education offers an accredited online Master of Education in Early Childhood Administration. This degree is designed for experienced teachers who already have a Bachelor’s in Education and wish to move into leadership positions. Instruction focuses on curriculum development, assessment, and professional ethics, as well as further development of educational skills. NLU’s program is based on a cohort model, so online students receive the support and stability of having a unified, continuous group of peers to work with throughout the program. Students can complete the program in as few as 21 months. Tuition for the program is $744 per credit. Texas A&M University–Commerce is a research university located in north Texas town of Commerce. With an enrollment of around 12,000 students, the university is the second largest school in the Texas A&M University System. Accreditation is provided by the Southern Association of Colleges and Schools, Commission on Colleges. Program Details: The College of Education and Human Services at A&M – Commerce provides 100% online master’s degree programs in early childhood education. The programs target educational professionals who wish to work with children birth through grade four. The three online graduate degree options for those wanting an ECE degree are a 36-hour M.Ed. with a teaching certification, a 36-hour M.Ed. with an alternative teaching certification and a 36-hour M.S. without a teaching certification. Mercy College was originally established in 1950 as a junior college by the Sisters of Mercy. In 1961 the school transitioned to a four-year college. This private, nonsectarian college is in Dobbs Ferry, New York which is 30 minutes from Manhattan. Over 11,600 students are enrolled. Mercy College is accredited by the Middle States Commission on Higher Education. Program Details: Mercy College’s School of Education has an online Master of Science in Early Childhood Education. This 39-credit degree prepares educators to work with children birth through grade 2. Students who already are teaching in private, religious, or charter schools as a head teacher for 2 or more years qualify for the “Advanced” Program. The program requires the same number of courses as the Initial Certification Program, but has a few higher level courses and a seminar in place of the full student teaching requirement. Upon completion of the program, students qualify for New York State teaching certification. For over 100 years, Biola University has been committed to providing a high quality education rooted in rich Christian heritage and values. This private university is located in La Mirada, California and has a student population of around 6,300 students. Biola and its programs are accredited by the Western Association of Schools and Colleges. Program Details: The School of Education provides students with several online options to achieve degrees in education. Among the offerings is an online Master of Arts in Teaching with a concentration in Early Childhood to better equip educators who wish to shape children in the age bracket of infant through adolescence. The online graduate program in Early Childhood is 30-units and can be completed in 18 months. Upon completion of the degree, students will be eligible to apply for Child Development Permits to the California Commission on Teacher Credentialing. Tuition is $557 per unit. Formerly known as the University of South Carolina Spartanburg, the University of South Carolina Upstate is a public university with a main campus located in Spartanburg, South Carolina. Around 5,500 students are enrolled in this publicly funded institution. The Commission on Colleges of the Southern Association of Colleges and Schools (SACS) provides accreditation. Program Details: USC Upstate’s School of Education provides an online Master of Education in Early Childhood. The program are designed to educational professionals who already have a teaching certification in order to help advance their careers and broaden their knowledge base. Students must complete 36 applicable credits to be awarded with an M.Ed. at USC Upstate. While it is not required for completion, this ECE program is offered in a Fast Track arrangement which makes it possible for students to finish the entire degree in 18 consecutive months. Originally founded in 1903 to educate African American youth, Albany State University has grown to having a diverse student body of around 4,200 students. This four-year, public university is located in Albany, Georgia. Accreditation is provided by the Commission on Colleges of the Southern Association of Colleges and Schools to award, baccalaureate, masters and education specialist degrees. Program Details: The College of Education at ASU is home to an online Master of Education with Majors in Early Childhood Education. Classes are facilitated using Desire2Learn (D2L), the Learning Management System used at all USG schools. Online students have access to a D2L Help Center for technical assistance 24 hours a day, seven days a week, 365 days a year. Established in 1867, Clarion University of Pennsylvania’s main campus sits in the rolling hills of western Pennsylvania in the town of Clarion. Approximately 6,000 students call Clarion their university. Regional accreditation for this public university is provided by the Middle States Commission on Higher Education. Program Details: Clarion’s College of Arts, Education, and Sciences houses an online Masters in Education with a concentration in Early Childhood Education. The program focuses on the education and care of the youngest people in society while taking into account the cultural diversity of learners, families, and communities. Tuition for this degree is $454.00 per credit for residents of Pennsylvania and 481.00 per credit for non-residents. Established in 1883, Jacksonville State University is a public university located in Jacksonville, Alabama. There are approximately 8,700 students enrolled in the school. The Commission on Colleges of the Southern Association of Colleges and Schools provides accreditation. Program Details: The College of Education and Professional Studies at Jacksonville State offers an online Master of Science in Education with a major in Early Childhood Education. The degree is 34-37 semester hours in length. Online students at JSU have access to the Alabama Virtual Library which includes online access to essential library and information resources. Furthermore, tutoring is available free of charge for any JSU student for most core courses. The University of North Dakota is a public research university located in Grand Forks, North Dakota. The school has over 15,000 students enrolled and an average class size of 22. Programs at the University of North Dakota are fully accredited by the Higher Learning Commission, a commission of the North Central Association. Online Programs: The College of Education and Human Development at the University of North Dakota offers an NCATE-accredited online Master of Science in Early Childhood Education (ECE). This 32-credit hour program is offered entirely online and usually takes 2 years to complete. The M.S. in ECE prepares certified teachers to work with children ages three through eight in way that takes into account family, gender, culture, and community. The ultimate goal of the program is to prepare teachers for working in public and private schools, Head Start programs, and child development centers. Online students take the same courses as resident students, and interact with one another in a virtual environment. Kennesaw State University is a public, comprehensive university located in Kennesaw, Georgia which is around 20 miles north of Atlanta. Around 25,000 students are enrolled in courses at the university. Accreditation is provided by the Southern Association of Colleges and Schools, Commission on Colleges. Program Details: Students can earn a number of online education degrees through Kennesaw State’s Bagwell College of Education. The Masters of Education in Early Childhood Education is designed for educators who are certified in Early Childhood Education but wish to enhance their understanding of the field and improve their practice. Students enrolled in the program will learn how to become the successful classroom instructional leaders that possess the skills, knowledge, and dispositions that is needed to promote education growth in children grades pre-school through five. This program allows educators who are certified in Elementary education to earn their M.Ed. in 13 months while continuing their teaching career. Originally founded by the Episcopal Church in 1932, Boise State University has grown to be a nonsectarian, public research university with an enrollment of around 22,000 students. The main campus sits in Boise, Idaho. Accreditation is provided by the Northwest Commission on Colleges and Universities. Program Details: The College of Education at Boise State offers a Master in Teaching in Early Childhood Intervention fully online. This is one of two graduate programs in Idaho that makes it possible for a student to earn both a Master’s Degree in Teaching and initial certification over four academic semesters. The program emphasizes a learning community of collaboration and teamwork in both the classroom and the clinical settings. Note that completing this degree only leads to a teaching certification in Early Childhood Education with the Idaho State Department of Education. Check with admissions counselors to see if the licensure applies to your state. The campus of West Chester University of Pennsylvania is located around 25 miles from the western edge of Philadelphia in the town of West Chester, Pennsylvania. This public university has an enrollment of nearly 16,000 students and is a member of the 14 state universities of the Pennsylvania State System. Accreditation is provided by the Middle States Commission on Higher Education. Program Details: West Chester’s College of Education provides students with an opportunity to earn a graduate distance degree in Early Childhood Education. This Master of Education in Early Childhood Education has two tracks: Accomplished Teachers and Program Administrators. Overall, the M. Ed. in Early Childhood Education is purposed to prepare educators for leadership positions in the field as advanced teachers, administrators, and advocates for young children and their families. The 2009 NAEYC Advanced Program Standards were used to shape this program. Edinboro University of Pennsylvania is located around 2o miles from the banks of Lake Erie in the town of Edinboro, Pennsylvania. This public liberal arts university is one of 14 schools associated with the Pennsylvania State System of Higher Education. Approximately 7,000 students are enrolled in courses at the university. The Middle States Commission on Higher Education provides accreditation for degrees. Program Details: The School of Education has an online Master of Education in Early Childhood Education. The degree has two options. Curriculum Option 1 is 27 credits. It is for students who are currently certified in Early Childhood Education, and want the MEd in degree. Curriculum Option 2 is 33-36 credits. This options is for students who are certified in Elementary Education and desire certification in Early Childhood Education (Pre-K-3). The online Master’s program in Early Childhood Education is designed to be completed by students in less than two years of part-time study. The vast majority of the content is facilitated online. The degree only requires one week of summer residency during the first summer of the program. The university that was ranked #22 requested to be removed from the ranking. East Carolina University has been preparing teachers for effective instruction for over 100 years. This public, research university has a main campus in Greenville, North Carolina. ECU also has two other campuses in the Greenville area – The Health Science Campus and the West Research Campus. Currently nearly 27,000 students enrolled. Accreditation is granted by the Commission on Colleges of the Southern Association of Colleges and Schools. Program Details: The College of Human Ecology at ECU offers an online Master of Arts in Education in Birth Through Kindergarten Teacher Education. The program is requires successful completion of 39 semester hours and is only available to North Carolina residents. Completion of the program leads to advanced birth through K licensure for the state of North Carolina. New Mexico State University is a public comprehensive university with a main campus in Las Cruces, New Mexico. The school has four additional campuses, a satellite center in Albuquerque, and a presence in all of New Mexico’s 33 counties. New Mexico State University is accredited by the Higher Learning Commission of the North Central Association of Colleges and Schools. Program Details: The College of Education at New Mexico State has a Master of Arts in Education in Curriculum and Instruction with an emphasis in Early Childhood Education that is facilitated online. The program is intended to target students who have a bachelor’s degree in early childhood education or a related field and who are already teaching or working in early childhood settings. The NMSU program offers a range of coursework encompassing infants, toddlers, preschoolers, and primary-aged children (birth through age eight). Northern Arizona University is a public university with nearly 28,000 students. The main campus is in Flagstaff, Arizona, and there are 34 extended campuses in the rest of the state. Accreditation is provided by the Higher Learning Commission (HLC) of the North Central Association (NCA). Program Details: Online students receive 24/7 IT support from the Student Technology Center during the Fall and Spring semesters and daytime-hour support in the summertime. Program Details: The Department of Teaching, Leadership, and Counseling provides students interested in an advanced degree in ECE with two online options. The Master of Arts in Teaching, Early Childhood Education, Grades PK-3 prepares educators seeking alternate certification to work with young children, their families, and their communities. It is a 39 hour program and requires a one-year Internship in Teaching. The second online option is a Master of Education in Early Childhood Education. The program builds on content that certified teachers mastered at the undergraduate level and requires a practicum. The University of Colorado Denver is the largest public research university in Colorado. It is also connected to the University of Colorado Hospital, a major teaching hospital on the Anschutz Medical Campus, making it a leading university for medical education. The public university has over 22,000 students enrolled. The University of Colorado Denver is accredited by the Higher Learning Commission (HLC) of the North Central Association of Colleges and Schools (NCA). Online Programs: The College of Education and Human Development at UC Denver offers an accredited online Master of Arts in Early Childhood Education to prepare students to work with children ages birth through eight. This 36 hour program provides working teachers with a flexible schedule, high-quality, personalized instruction, and networking opportunities. The ECE program follows a cohort model, so students work with the same peers throughout their program, providing students a sense of connectedness and support. The online option is limited to Colorado residents living 60 or more miles from Denver. With a campus in the far west Texas town of El Paso, UTEP is a four-year state university, and is a component institution of the University of Texas System. Approximately 23,000 students are enrolled in programs at the university. Regional accreditation is provided by the Southern Association of Colleges and Schools, Commission on Colleges. Program Details: The College of Education at the University of Texas at El Paso provides a Master of Education in Curriculum and Instruction with a concentration in Early Childhood Education. This Texas Higher Education Coordinating Board approved program is a 36 hour, non-thesis degree. Tuition for residents of Texas is $344.90 per credit. Non-residents pay a tuition o $450 per credit. The University of North Carolina at Greensboro is a public liberal arts and research university in Greensboro, North Carolina and is a constituent institution of the University of North Carolina system. Slightly over 18,000 students are enrolled in the university. The Southern Association of Colleges and Schools, Commission on Colleges provides accreditation for academic programs. Program Details: The School of Health and Human Sciences at UNC Greensboro provides a Master of Education in B-K Interdisciplinary Studies in Education and Development. This 37 hour degree is a fully online synchronous program with classes meeting online using web cameras and microphones. The M.Ed. is a holistic program incorporating advanced training in early childhood systems and policy, development and support, research and evaluation in early childhood, budgeting and financial management, public engagement, leadership and mentoring, communication, assessment, and curriculum within the context of family-centered practices. The University of Dayton is a private Roman Catholic, research university in Dayton, Ohio. Nearly 11,000 students are enrolled in programs at the university. The school has a student to faculty ratio of 14 to 1. The school is accredited by the Higher Learning Commission of the North Central Association of Colleges and Schools. Program Details: The School of Education and Health Sciences at the University of Dayton has several online options for students interested in the field of early childhood education. The school offers online programs in Early Childhood Leadership & Advocacy at the certificate, bachelor’s, and master’s level and an online Master of Science in Education in Transdisciplinary Early Childhood Education. The M.S. in Education with an emphasis in Early Childhood Leadership & Advocacy is designed for experienced early childhood professionals who wish to further the skills and knowledge that is essential for effective leadership and advocates in ECE related fields. The M.S. in Education in Transdisciplinary Early Childhood Education weaves students together from a variety of educational backgrounds who wish to work with young children. Positioned in the town of California, Pennsylvania, California University of Pennsylvania is a public university and a member of the Pennsylvania State System of Higher Education. Over 8,200 students are enrolled in programs at the university. The university is regionally accredited by the Middle States Commission on Higher Education. Program Details: The College of Education and Human Services at CalU offers a Master of Education in Early Childhood Education completely online. Applicants must be certified teachers in elementary, early childhood, or special education interested in gaining a master’s degree or additional certification in ECE in order to begin the program. According to the CalU website, the program is performance-based, built upon a foundation of best practices, and engages learners in research-based practices that will prepare teachers to work with children pre-K to fourth grade. the M.Ed. in ECE is 33 credits with an optional certification. Emporia State University is a public university in Emporia, Kansas, just east of the Flint Hills. The university has an enrollment of approximately 5,500 individuals. ESU is accredited by the Higher Learning Commission and is a member of the North Central Association of Colleges and Schools. Program Details: ESU has a fully online Masters of Science in Early Childhood Education for professionals who need a flexible degree program. This graduate program targets teachers who already hold a valid elementary level teaching license. Candidates must hold a BA in a related field such as child development, physical/occupational therapy, psychology and others. The program focuses on training teachers to work with young children birth through age eight with or without special needs. Residents of Kansas can earn a Kansas Early Childhood Unified (B-8) license upon completion of the program. Liberty University is a private university rooted in the Christian faith with a campus in Lynchburg, Virginia. 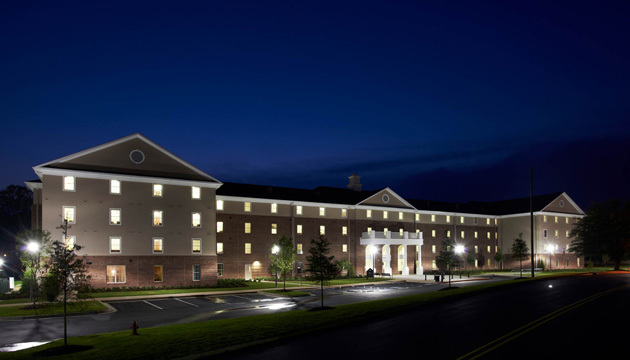 Liberty is the largest Christian university in the world, with over 100,000 traditional and online students. The Southern Association of Colleges and Schools Commission on Colleges provides accreditation for the university. Program Details: The School of Education offers online programs in Early Childhood Education Interdisciplinary Studies at the associate and bachelor’s level as well as an online Master of Education in Teaching and Learning – Early Childhood Education. The online M.Ed. in Teaching and Learning is purposed to prepare individuals how to effectively plan and implement appropriate curriculum for younger children. The program is 36 total credit hours. Applicants can transfer up to six credit hours from an accredited and unconferred degree. The tuition for the graduate program is $520 per credit hour (based on full-time enrollment). The University of Montana has a campus in Missoula, Montana. This public research university is the flagship campus of the four-campus University of Montana System and is its largest institution. Approximately 14,500 students are enrolled in programs at the university. The Northwest Commission on Colleges and Universities provides accreditation for programs. Program Details: The Phyllis J. Washington College of Education and Human Sciences houses two fully online graduate degrees in early childhood education. The M.Ed. in Early Childhood Education is designed specifically for individuals who do not have a degree in early childhood but are interested in or currently established in early childhood careers. The degree offers two tracks: P-3 Early Childhood Education Endorsement for the state of Montana and Early childhood career advancement. The M. Ed. in Advanced Early Childhood is designed to launch early childhood professionals towards becoming professional development specialists, master teachers, administrators, curriculum specialists, and policy advocates. California Baptist University is a private, Christian university located in Riverside, California. CBU also offers degree programs in San Bernardino and online. The school has nearly 7,200 students enrolled. The Western Association of Colleges and Schools provides accreditation. 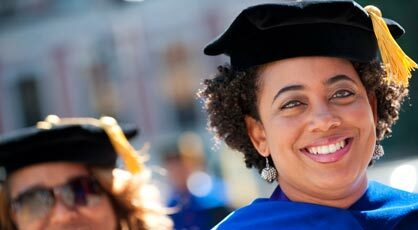 Program Details: The Dr. Bonnie G. Metcalf School of Education at California Baptist University offers an online Master of Science in Education with a Specialization in Early Childhood Studies. This 33 credit M.S. program purposely balances theories, research and practice. so that candidates will be able to excel in their career. Indeed, it is designed to prepare educators with the skills, knowledge, and the leadership required for high quality early childhood teachers, administrators and program specialists. Concordia University St Paul is one of the ten-member Concordia University System, a university system overseen by the Missouri Synod of the Lutheran Church. Originally founded in 1893 to prepare high school students for the ministry, Concordia gradually grew into a one-year, then a two-year college, ultimately becoming a four-year, coeducational university. Concordia is accredited by the Higher Learning Commission. Online Programs: Concordia offers an accredited Master of Arts with an Early Childhood Education emphasis that is facilitated completely online. Concordia’s 33-credit MA program will instruct students in best practices based on research, emphasizing child development, building family and community relationships, and growing as an education professional. Each course is seven weeks long and has a tuition $378 per credit. The University of Missouri is the largest public university in Missouri and the most significant of three campuses in the University of Missouri system. Founded in 1839, Mizzou was the first public university west of the Mississippi River. The campus sits on 1,262 acres and is designated as a botanical garden. Accreditation is provided by the Commission on Higher Learning of the North Central Association of Colleges and Schools. Program Details: The College of Education at Mizzou offers an online M.Ed. in Early childhood education, an online M.Ed. in Early childhood special education, and an online M.Ed. in Early childhood special education and autism. The M.Ed. in ECE is 33 hours. The other two are 30 hours. All three programs are designed for early childhood practitioners, early childhood special education teachers, Head Start teachers, child-care center staff and others who work with children from birth through age 8. Tuition for graduate studies at Mizzou is $350.10 per hour for residents of Missouri and $587.30 for non-residents. Since it’s founding in 1969, the University of Alabama at Birmingham transformed into a doctoral research university and academic medical center. UAB has a campus in Birmingham, Alabama and has approximately 18,500 students enrolled in courses. Accreditation is provided by the Southern Association of Colleges and Schools, Commission on Colleges. Program Details: The School of Education at UAB offers an online Master of Arts in Education in Early Childhood Education. This alternative master’s program (AMP) is for graduate students who do not already hold teacher certification in early childhood education. Applicants must have an undergraduate degree with at least a 2.5 GPA on their transcript from a regionally accredited college in order to qualify for the program. Furthermore, applicants must also pass the Basic Skills test and the Praxis II exam in the targeted teaching field as well as meet other criteria stipulated by the ALSDE. Upon completing the AMP, candidates earn alternative Class A certification in Early Childhood Education. Program Details: WKU has many highly rated online graduate and undergraduate programs. Western Kentucky University’s College of Education and Behavioral Sciences provides students with a great opportunity to earn a Master of Arts in Education in Early Childhood Education. The program prepares educators to successfully create and plan experiences and instruction that support the learning and development of infants, toddlers, preschool children, and kindergarten children (birth through five years). This includes preparing students to work with families and with children who have disabilities. This particular program is 80% online. Thus, students will need to attend a few classes on campus. Located in the Gulf Coast town of Mobile, Alabama, the University of South Alabama is a public, national research university. Approximately 15,000 students are enrolled in programs at the school. Accreditation is provided by the Southern Association of Colleges and Schools, Commission on Colleges. Program Details: The College of Education at the University of South Alabama provides students with several online graduate options in education. The Master of Education in Early Childhood Education is a 30-hour fully online program is for teachers who already hold the Class B Professional Early Childhood Certificate. The Early Childhood Education program is designed to provide in-depth knowledge of childhood learning, child development, and teaching skills for young children ages four through eight. This program leads to a Class A Professional Early Childhood Education (P-3) certificate for the state of Alabama. Arizona State University is a public research university with a main campus in Tempe, Arizona and several extension campuses. The school has a robust online degree program with approximately 7,500 students enrolled in their online bachelor’s degree programs. Arizona State University is accredited by the Higher Learning Commission of the North Central Association of Schools and Colleges. Program Details: The Mary Lou Fulton Teachers College at ASU provides several online options for students interested in a career in education. The Master of Education (MED) in curriculum and instruction in Early Childhood Education is 35 hours for the ECE endorsement program or 46 hours for the certification program. For those interested in the certification program, check with admissions counselors to see if your state qualifies. This MED is offered fully online and focuses on preparing teachers to meet the educational, social and emotional needs of children from birth through 8 years old. Tuition is $545 per credit. The University of Houston is a state research university in Houston, Texas that was founded in 1927. The student population is nearly 40,000 students. The Southern Association of Colleges and Schools, Commission on Colleges provides accreditation. Program Details: The College of Education at the University of Houston has an online Master of Education in Curriculum and Instruction – Early Childhood Education. This program is intended to guide graduates who want to pursue excellence as teachers of Pre-Kindergarten – 3rd Grade. Students work closely with fellow classmates and faculty to improve their research, writing and presentation skills in the area of early childhood curriculum. Tuition for a graduate degree at the University of Houston is $414 per credit hour for residents of Texas and $904 per credit hour for non-residents. Established in 1878 as a school for women, Brenau University is now a co-educational university with nearly 2,800 students enrolled. This private, nonsectarian university is located 45 miles northeast of Atlanta in Gainesville, Georgia. Accreditation is provided by Southern Association of Colleges and Schools Commission on Colleges. Program Details: The College of Education at Brenau offers a Master of Arts in Teaching in Early Childhood Education. The degree is 54-57 hours in total. Students are required 9-12 hours of clinical experience. Individuals in the program choose from a student teaching sequence (9 hours) for one semester or an internship experience (12 hours) over several semesters. To ensure the highest level of quality, all professors of online courses at Benau are required to take a four week certification course in effective online instruction. Furthermore, first time online professors are mentored by an experienced faculty member.